Mermaid/Trumpet Black One Shoulder Cocktail Party Dress are one of very effective dresses to show off womens' silhouette. 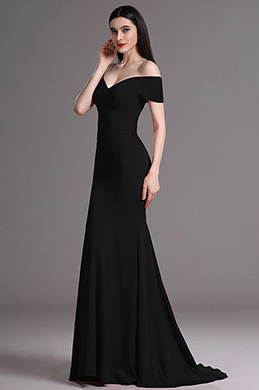 Mermaid/Trumpet 2019 Black One Shoulder Cocktail Party Dress, party dresses and other Mermaid/Trumpet 2019 Black One Shoulder Cocktail Party Dress are diverse in styles, details and colors. To form the special effect, professional skills, exquisite details and excellent fabrics are required. So, when you see the types of mermaid dresses in the above, you can find out the fine workmanship and detailed elaboration. To fit diverse figures, necklines are designed variously, including: strapless, halter, one shoulder, bateau, straps and round. You can choose the most suitable type dress to show your femininity according to the special fashion sense you like. For your parties, we provide you with not only high quality Mermaid evening dresses but also other styles formal dresses with very affordable prices. Wholesale service is also offered.